This is a list of 80+ educational birthday gift ideas and Christmas/holiday gifts for brainy kids for 2019. If you see something missing from the list, please feel free to suggest your own gift ideas for smart kids in the comments below. 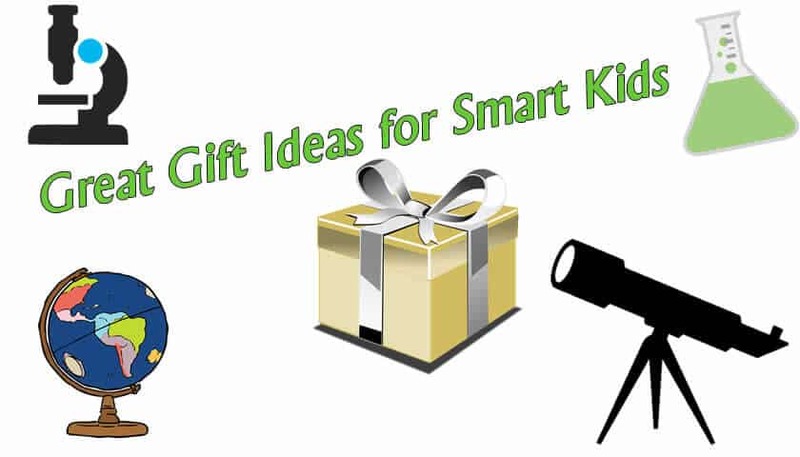 There are plenty of great birthday gifts out there to help smart kids of all ages get smarter…and lots of presents that will be a waste of your kid’s time and your money. I hope this list of educational math, engineering, and science gift ideas will help you find better options. Below are my suggestions for the best gifts for smart kids. Each educational present idea includes a link to the item on Amazon.com, suggested age levels, and dollar signs to indicate the relative expense of each gift. $ – One $ sign indicates an inexpensive present of less than $30. $$ Two $$ signs indicate a moderately expensive present of $30-100 dollars. $$$- Three $$$ signs indicates gifts costing $100 or more. All of the present ideas on this list have been handpicked because they are good for kids’ brains, develop smarts, creativity, and are at least to some extent educational and good learning toys. I have direct experience with many, if not most of the items on this list, others have come highly recommended. If you have any ideas to add to this list of presents for smart kids, please send me your comments below. You’ll find electronics, geography, physics, math, chemistry, biology and geology brainy gift ideas below. 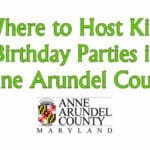 BTW, if you have a birthday party coming up, here are some suggestions for fun places to have the event! Augmented Reality Anatomy T-Shirt – Might not quite be great for the squeemish, but this is a really cool idea and a great implimentation. Point a smartphone at this t-shirt and get a human anatomy lesson like none-other. Lego Boost Creative Toolbox – 840 piece lego kit. Robotics. Need I say more? If your super-smart kid is interested in engineering, coding, and/or legos, than this could be a perfect gift. Rocketbook Everlast – This is a great birthday or back to school gift for older kids (High School or even adults who have lots of meetings or anyone who takes lots of notes). Much more than just a notebook: this is an erasable notebook that is supported by an app that is used to take photos of the notes and send them to the cloud for permanent storage and organization. Read my full review. The Zoob Builderz STEM Challenge Kit – This was better than I thought and my whole family really enjoys it. Basically this is a “build-it kit” with lots of parts that fit together, wheels, rubber bands, and string. They give you challenges, such as build a car with a retractable roof, with little guidance, and you have to figure out your own solution to build the car and the roof with the parts provided. This is a great engineering toy for kids because it’s so flexible. Suggested Ages: The ages for this kit are 6+, but don’t be put off by that if you have an older kid. I’d say up to 9-11 years old (or possibly beyond) would like to have this as a gift. Aerogarden Hydroponic Garden – Kids love to grow plants, especially when the results are edible. Aerogarden has some great options for kids or the whole family to learn about plants and enjoy some fresh herbs, salad greens, tomatoes, peppers, or flowers. There are several levels/options that are available. Gardeners age 6 and up might enjoy the Herbie pizza activity kit. There is also a nice 3-pod solution or 6 pod solution available. You may also be interested in the more advanced ultra kit. Suggested Ages: The ages for this kit are 6+. The Herbie kit is specially made for kids, but the other kits are great gifts for kids 10 and up. This is a great gift, that can be relatively practical. There are loads of different walkie talkies on the market. Just know that most of them DO NOT have the reach that they advertise–not even close unless it’s line of sight, mountain-top to mountain-top. Even so, these are relatively inexpensive and great fun, even if it is just local fun. This set is pretty durable. This looks like a great idea, but I haven’t tried it out yet. Amazon will send your child a STEM toy each month for $19.99. You can select their age range (3-4, 5-7, 8-13 years old) and the rest will happen automatically. The Magic School Bus Science kit has lots of great science activity that will keep your child busy and engaged and they will love getting a monthly package with great experiments. Globes and maps of the earth are a must have for any smart kid. Here is a decent globe… If a good globe is out of the budget, consider getting a Painless Learning World Map Placemat which is guaranteed to spark interesting mealtime conversations. Project kit to learn the basics of cryptography. They learn to crack codes and the secrets of basic secret messaging. A cool activity set, for less than $13. When you follow the Amazon.com link, you’ll see other Ravensberger gifts in the “people also bought” carosel area–many of those are worthwhile gifts as well. Who doesn’t look smart wearing a lab coat. Basic coats cost about $16 on Amazon, but you can go up from there. My girls had fun with these, and used them for Halloween costumes more than once. Take a photo of the boy or girl doing a puzzle, then have a puzzle made on Amazon based on that photo. For a few years, I had a tradition going where I had a photo of my girls doing a puzzle in which they were doing a puzzle, doing a puzzle…kind of fun but it got too difficult to work out the detail in the photos because they canvas is a bit small. Nevertheless, a fun and unusual gift! Let the super-smart kid in your life squeeze in some extra learning while they eat. It is surprisingly effective and I have to say that some of these mats are true works of art. There are a large variety of these with maps, presidents, periodic table of elements, bugs, planets, weather, types of butterflies, rocks/geology, astronomy, multiplication tables. My kids learned alot from having these placemats around. Still today, even though my daughter is 12 years old now, she still remembers facts she learned when she was a toddler of 3 or 4. These two classic games allow for some family fun and keep your child thinking: Chinese Checkers and Scrabble. You may also want to check out TwixT. There is no shortage of great books for advanced kids.Here are some book ideas for kids of various ages. Depending how advanced they are they may benefit from any of these. There are some great chess books for kids. It’s never too early for any kid to learn how to play this classic brain game. You might consider pairing this book with a new chess set such as this decent quality wooden chess set. If your child is already a chess fan, and you want to get something fancier, there are giant chess sets that use pieces like these for outdoor chess ($$$). Your young genius may also enjoy the Perplexors series of logic puzzle books. They recommend ages 8-10 for this book, but they have several levels. These are fun, interesting and inexpensive. See more logic puzzles below. This is a great educational gift suggestion. These books come in several levels. For younger kids who are just starting to learn math concepts, there are some great books by Greg Tang. For example, “Math Potatoes: Mind-Stretching Brain Food” and “The Grapes of Math” provide simple, but helpful math riddles for kids to do. These are fun, interesting books and as a former elementary school math teacher, I definitely recommend them–they surely help kids think about math in a different way, and many kids will find them really enjoyable. There are some very good books that teach drawing skills–very important for the future inventor. I especially like this one, that teaches you how to draw in 3-D / Perspective drawing. If your child is a literary genius who would rather write than read, they may like to get started with these short blank books. They make a nice keepsake too. My kids had a great time with them. I will say that it got to be a bit expensive to keep ordering more. Here are a few gift ideas for the youngest children. Given a chance, and some encouragement, kids can learn quite a bit from some of these. These are great for teaching kids to read, and they really like to watch them. There is a whole series to meet kids where they are at on the road to learning to read (and math too!). BTW, if you’re interested in teaching your kids to read early, consider Hooked on Phonics. BTW, you may also want to have a look at my list of educational kid’s TV shows for other worthwhile entertainment. This game is great for memory skill development, color recognition and more. A fun, very good gift for toddlers. It’s really a game that people of any age can enjoy, but of course the best part is seeing your kids enjoying the game, especially when they beat the adults! As mentioned above, there are some wonderful educational placemats that make learning while eating fun. For example, this ABC placemat or this one on bugs and insects. Microscopes are a staple of brainydom. Try to get a decent one though–in my opinion, there is nothing worthwhile under the $75 range, as far as I know. The very cheap microscopes are just frustrating and fall short. They all have issues with lighting and don’t do well with magnification–that means they’ll be abandoned after a few uses. This clever device is definitely cool and practical and giftworthy. You can attach it your mobile phone camera so you can view objects and take a photo. Gets pretty good reviews. Another example is a quick attach microscope that you can add to your iPhone. It gets good reviews, but I really don’t know if this works that well. Another great microscope is the -I LOVE THIS MICROSCOPE! It has a great LCD screen so your kids can see what the magnifications are easily. We have this microscope and I can tell you it is super fun. Once you have something on the scope you can snap an image of it. I really love this Microscope, but note that it is meant to look “at” things–this wouldn’t be good for looking at cells–more for examining bugs, coins, fabrics, foods, etc. It comes with a rechargeable battery which makes it great to carry around to various places for microscope fun. I know this is a bit pricey, but it is very good. This is a such a great science toy for boys and girls of all ages. A relatively pricey venture for a good, worthwhile telescope. Also, if you live in an urban/suburban area, it may be difficult to get the most from a telescope due to light pollution. Expect to spend more than $100 for a good one. 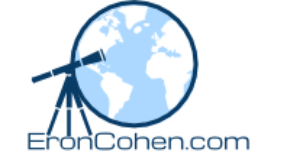 For example, here is a well rated telescope in that price range: Celestron 127EQ PowerSeeker Telescope – any budding astronomer will prize such a fantastic gift. There are a few interesting kits to be had in this category. For example, Weather Station Science Kit seems like a great gift for a kid who’s interested in meteorology. Educational kit that teaches quite a bit about DNA, including building a DNA model. Skeleton Floor Puzzle, Squishy Human Anatomy and visible man/visible woman These are great learning toys. My kids love the squishy human toy. I didn’t figure they would keep using it, but actually they return to it now and then and it makes a cool display toy too. Really “adds some science” to their room. These are also good, but some people might not like having an anatomy lesson at the dinner table–I think it’s a great opportunity for a child to learn about the human body. This is really fun and a great introduction to robotics. It does require some assembly but my 9 year old really loves it so that could be worth it and part of the educational value. You program this robot by training it’s limbs and also get it to move and record your voice via an app. The robot recognizes thousands of phrases through it’s voice recognition software.Cost: There are two versions, the MeccaNoid G15 (Cost: $$) and the four foot tall Meccano MeccaNoid G15 KS Cost: $$$. There is also an expansion kit that looks like even more fun. Suggested Ages Boys and girls 8-10+ years. Remote Control/Motor for paper airplanes-I wish they had this when I was a kid. The PowerUp 3.0 is basically a rechargeable, remote control motor that you can attach to any paper airplane. This means you can experiment and tweak the design, try different papers, etc to see what flies the best and is easiest to control. You need a bluetooth enabled smartphone or tablet in order to control the device. Gets great reviews. This is an interesting educational toy car that runs on compressed air. Note that there is assembly required and some of it is a little bit complicated, but nevertheless, very worthwhile. This looks like a very fun magnetic building kit. The pieces are larger than older kids, so they should be a bit safer for smaller kids. I’d still use caution to purchase this for kids under 5 (or if you have kids under 5 in the house). Looks like a fantastic kit. Two levels of building so beginners and more advanced kids can be engaged. It has 14 modes. 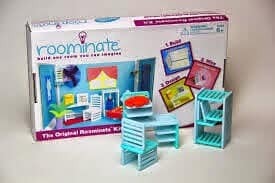 Roominate and GoldieBlox are two excellent choices for girls (and boys). I highly recommend both of these engineering toys for kids ages 4-5 (or even 6-7) –my girls definitely enjoyed them. There are several great kits for both of them, so definitely search on Roominate and GoldieBlox on Amazon to see the variety and different price points for these gifts. They will pay dividends. This is a relatively expensive birthday, Hanukkah or Christmas gift but the payoffs are huge if your child takes to this. You’re brainy child will learn programming, physics and many more things that are going to be very important to the economy in their lifetimes. There are several different kits you can buy, for example the EV3 kit and the NXT 2.0, Lego Mindstorms kits are the de facto standard robotics kids used in teaching at K-12 schools. I strongly recommend this as a gift. This is the ultimate STEM teaching toy for girls and boys of all ages. If the price for Lego Mindstorms is out of the question, there are various other robotics kits that can be great fun for kids–for instance this tin can robot kit. You might also consider a KANO kit that teaches kids all about building computers using the Raspberry PI. Younger kids might also enjoy Little Bits kits. Chemistry experiments are all kinds of fun for boys and girls…and a great way for parents to work with their children to learn chemistry. Magic School Bus kid’s chemistry kit. The Thames and Kosmos set is a great set to get started with chemistry. Any curious kid will enjoy these classic experiments. Also from Thames and Kosmos, this is a more in depth chemistry set than the previous one. I would get this one for a more serious science-loving kid. This is an even more serious chemistry set for teenagers / older kids who are ready to work through high school preparations for chemistry. This could be a fun gift for older kids who love Chemistry. It’s a mug that looks like a beaker–it even has a caffeine molecule on it. Fun, novel gift. This is just a fun, nerdy present. Kills will love watching the liquid boil by the heat of their hands. They can learn about atmospheric pressure and liquids/gas. MudWatt – Grow your own living fuel cell – Clean energy from mud. This is a living fuel cell that feeds on mud (and other stuff your budding scientist may decide to put into it). This has on multiple awards and definitely has some great STEM lessons. Award wining fun. This is somewhere between a math activity, a creative jaunt and meditation. Kids will enjoy creating fractal patterns with diamond and square magnetic tiles. Kind of like Scrabble for simple equations. This looks like a very good physics kit with lots of interesting experiments. Bubble tools from Zome Tool…there are all sorts of interesting things you can learn from bubble kits…plus they’re just fun. Some of the zometool kits let the kids build geometric shapes and then the bubbles are framed by those shapes. Here is one example kit for about . The zometools are also great for just creating stuff. 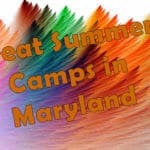 Check out the more advanced kits for 12 year olds and up and here is a more advanced kit for kids ages 6 and up. A fun way to learn about inertia and some other physics concepts. Smart kids will enjoy the activities in this kit. This kit offers some great Rube Goldberg fun + great physics learning from this kit. This is a great brainy gift for kids who like building models, and especially if they are interested in cars and engines. This is a “working” model of an internal combustion engine (it runs on an electric motor). It’s meant for older kids, but could be a project a parent and younger kid could work together on. This is somewhere between science and fun. Plasma balls are the staple of any smart mad scientist. This is another toy that may be a stretch for educational, but it sure looks fun and could have some educational value in physics. It’s basically a remote controlled ball–kids can build mazes and use ramps to get it to do some really fun tricks. This is a great kit for kids interested in art, science, physics, or/and astronomy. Please be careful due to safety issues if you have young children in the house. Here is an example of a safe kit from Magformorers. Here is another one. Gearation Refrigerator Magnets also looks very cool and so does wall coaster. This is something an older kid might like. It basically “levitates” lighter metal objects (you provide those). It is pretty cool. This is basically a large metal coin that spins for quite a long time and makes sound. Another cool but simple item kids would love. Here’s a video to give you the idea of what this miracle of physics actually is. Magic Penny Toy – This is a bit unusual. Make sculptures and do activities using British pennies (US Pennies don’t work because of their composition). Teaches kids math, science, creativity…just fun. This brainy gift is great for any budding geologist. You get unopened geodes — kids can break them open themselves. Kids who collect rocks will like this. Note that the packaging is not fancy, but the actual rocks you get are very cool and numerous. Great for beachcombing. There are a a variety of metal detectors kids might like–some of the ones that are meant for kids, just aren’t that good. This is a good compromise, but if it’s too pricey have a look at some of the other choices. Crystal Growing Kits – These are always fun and interesting. There are several levels to these kits. This one is a bit more on the pricey side, but is more complete. Learn about geography by doing puzzles. This a great card game. Here’s a great globe that kids interested in geography will definitely like. This is not the greatest political globe, but still really cool because it floats magnetically. A great book by Ken Jennings – Jeopardy! superstar Ken Jennings offers his insights about maps in this excellent book. The Raspberry Pi learning computer – This credit card sized, $35 device is an excellent tool for teaching a child how computers and electronics work. 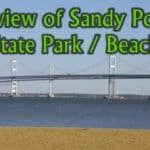 Here is an article that explains the device better. This is sold as “an invention kit for everyone”, and it definitely is fun and cool. No wonder it’s an Amazon best-seller. Turn anything into a keypad for your computer (Mac or PC). For example, you could make a few bananas into a music keyboard. I would be remiss if I didn’t mention the idea of getting your favorite brilliant kid some sort of computer of their own. Tablet computers are a good gift option — consider going with a cheaper Android tablet such as the surprisingly very low cost Amazon Kindle Fire. My girls both have one and they absolutely love it. My wife also has one and she loves it. It’s great for reading books, playing educational games (see my list of Amazon Fire Educational Games) and watching videos. Many public libraries now offer free, downloadble e-books that will work with the Amazon Fire.Note that the Amazon Fire tablets do not allow you access to the Google Play Store–you have to use the apps that are on the Amazon App Store. There is a special “kids” version of the tablet that costs a bit more and has a few additional software features, plus it comes with a durable case…You may not need that though– the regular Fire does have the “Kids’ Free Time” app on it that lets you set limits for time and which apps they can use. We just have the regular 7″ Kindle Fire and it works great. I am a huge fan of the Google Chromebook because it is so simple and malware/virus free. They are currently priced from about $150, most of the best values in Chromebooks are in the $200-300 range. I really like the Toshiba brand (Chromebook 2) for these. Recently some Chromebooks have been enabled for the Google Android App Store, greatly improving their usefulness. The Toshiba Chromebook 2 is slated to have this enabled later this year. There are of course the usual suspects such as Chess Sets…but there are some other games for various ages. For example, there is the Perplexus line of mazes that come in various levels of difficulty. My seven year old loves the Perplexus Rookie and has spent hours working on solving it by getting the ball all the way to the end of the maze. Someone who enjoys puzzles like this might also like these Japanese puzzles. Chess is always great for the developing genius mind. Aside from general Chess Sets for kids who already know how to play, there are some great learn chess kits and books that teach chess for kids as well. Your brainiac might also enjoy Chess Solitaire. Kids of all ages can learn to play chess. Very young kids learn to play chess, but I would say a learning set would be good for a kids who are 5-year-olds and above. Othello and Scrabble Junior also make pretty decent gifts as well. This is a cool looking puzzle game. Complete the circuit to light up the board. 2013 Puzzle of the Year. The game is marked as 8+, but I think some seven-year-olds could enjoy it too. This balance game is even cooler than it looks. I know you don’t usually think of Melissa and Doug gifts for older kids, but you can make an exception here. Pengoloo – This is a great memory game for people of all ages, but works fine for toddlers and up. Helps with memory and color recognition. Nice wooden pieces. Quardillions – Great strategy puzzle meant for one player. LONPOS 3 Dimensional 505 Brain Intelligence Game – 505 challenging, fun 2d and 3d puzzles in a compact form. Quoridor is another good one. Its meant for kids who are six and up…and definitely something a brainy kid would enjoy. ThinkFun Tilt This interesting logic game is loads of fun and a bit challenging. Laser Maze – This is a logic game that uses a real laser. It’s got some things in common with the marble maze above. This is a fun single player game. The same manufacturer makes a two player laser game (The Laser Game: Khet 2.0). For example, the Parrot AR drones are stable and easy to fly but the cheaper remote controlled drones, helicopters and planes can be just as great. Adult supervision is probably required, especially for younger kids. Try to find one with a video camera built in. The 3D printer is the ultimate gift. Probably best for your older brainiac or with help from an able adult. The MakerBot is a popular 3D printer that has lots of support from the community. You can print some amazingly cool things. Kids who learn a little 3D design software can create whatever they can imagine (and that fits on the small format printer). Expect to spend $750-$2000+ for entry level models (which can do quite a bit). The da Vinci miniMaker is an affordable 3D printer. It uses non-toxic PLA filaments to print on a 5.9″x 5.9″ stage. This would be a good introductory 3D printer and it’s compact enough to put right next to your computer. Butterfly gardens and Lady Bug Land or if you’re a little more daring, you could go for a pet hissing cockroach. We have never given our kids a hissing cockroach, but both of our daughters loved the butterflies and lady bugs. Rolly Polly Farms – This is a great idea. Comes with a voucher for rolly pollies. Frog hatchery – Your child will receive a tadpole in the mail and watch it grow into an adult frog. Beware this is really a long term commitment–frogs can live many years. The frogs in this kit are aquatic which makes them a bit easier to take care of. Grow Mushrooms: A grow your own Oyster Mushrooms kit and a grow your own shitake mushroom kit. This is cool and unusual. Some of the kits use organic bases for the mushrooms…great news for your dinner table. It’s definitely fun and interesting for kids to see how mushrooms grow–a sort of different experience from some of the seed/plant kits you can get. I recommend this as a gift for kids of any age, but probably for most kids, the ones who are older than six or seven years old will get the most out of it. Do you have a suggestion for this list? Feedback on one of the items? Please email me to let me know. I only want to feature gift ideas that are safe, educational, interesting, unusual, and fun! Don’t forget to visit my ideas for birthday party places.